While a whole-body massage is amazing, some of our guests tell us that getting a facial is even better. This compliment is a testament to how relaxing, accepting, and holistic our spa experiences are. Women and men of every age come for our facials. 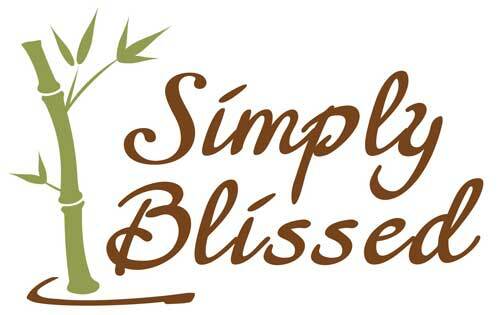 At Simply Blissed, we welcome you exactly as you are. At the beginning of your appointment, we always start by asking you a question: Is there anything during your facial that you’d like us to focus on? We ask this so we can custom-design the entire facial experience around what you want. Healthier skin: If you have redness or sun damage, our wide line of targeted skin options can restore problem areas back to radiant health. Renewal: If you want your skin to feel refreshed, our amazing, organic products cleanse away dead cells to reveal brighter, firmer skin. Melt away tension: Our specialty massage techniques soothe away tension while toning the muscles in your face. 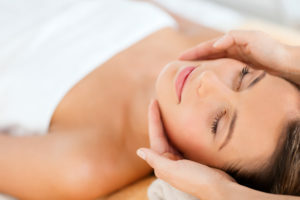 Deep relaxation: During your facial, we also massage your neck, shoulders, arms, and hands—all the places that hold stress—so you rise again feeling soothed and peaceful. This spring, we’re excited to introduce our new Osmosis makeup line that includes gorgeous lip, eye and cheek colors along with their coloring correcting lightweight foundation and popular brow gel. When you book a facial in April and May only, we’ll send you home with a personalized color recommendation base on your skin tone and apply a complimentary lip color of your choice at the end of your appointment. Sign up for a facial today, we hope to see you soon!